The 2018-2019 academic year brings fresh leadership to the College of Professional Studies and Fine Arts. The School of Journalism & Media Studies, the School of Theatre, Television, and Film, and the School of Music and Dance are all welcoming new directors. Dr. Noah Arceneaux is the Interim Director for the School of Journalism & Media Studies, after serving as coordinator of the media studies program for several years. Arceneaux earned his Ph.D. from the University of Georgia in 2007 with a dissertation that examined the role of department stores during the early years of American broadcasting. In 2008, this work was named the best dissertation of the year by three national academic organizations. His subsequent research has explored the social construction of new media technologies, including historical phenomena (such as wireless telegraphy) as well as emerging forms of mobile media. 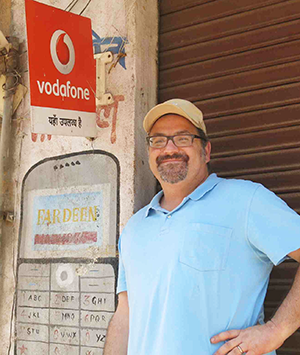 He has edited two anthologies of mobile phone studies, and he spent the Spring 2014 semester in India on a Fulbright-Nehru Research Grant. His project in India examined the government’s policy of spectrum allocation for mobile phones. He spent the summer of 2017 as a research fellow at the Bodleian Libraries of Oxford University, and conducted original research with the Marconi Archives. Dr. Arceneaux’s research has been published in the Journal of Broadcasting and Electronic Media, American Journalism, New Media & Society, Technology & Culture, and Journalism and Mass Communication Quarterly. Prior to joining academia, Dr. Arceneaux produced websites for the ABC, CBS, and Fox television networks. 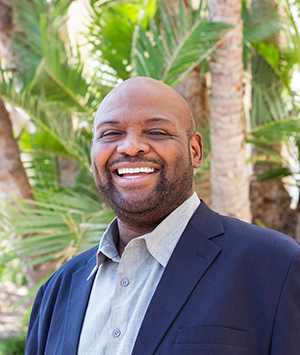 Dr. ‘Niyi Coker, Jr. is the new Director of the SDSU School of Theatre, Television, and Film. For the past 14 years, Coker has been the E. Desmond Lee Endowed Professor in Theatre & Cinema Arts, African & African American Studies at the University of Missouri, Saint Louis. Prior to that he taught at several other institutions including, the University of Alabama at Birmingham, the University of Wyoming, and the University of Colorado at Denver. Coker has served as Visiting Artistic Director to K3 at Malmo Hogskola, Sweden, the National Theatre of Nigeria, and Black Box Theatre in Bermuda. He is the Founding Artistic Director of the African Arts Ensemble in New York City, and the Founding Director of the Africa World Documentary Film Festival. He is an Associate Member of the Directors Guild of America, and a full member of the Society for Stage Directors and Choreographers. He is also a recipient of the Washington D.C. Kennedy Center Merit Award for Directing. His plays include Ouray, written in collaboration with the Southern Ute Tribal Council, Endangered Species, commissioned and sponsored by the British Council; and Preemptive, developed at the Indiana University Playwrights lab, and staged at London’s West End Shaw Theatre. His Off-Broadway writing and directing credits include Booth! (in collaboration with Barbara Harbach & Jonathan Yordy), and Miriam Makeba-Mama Africa –the musical. His documentary film writing and directing credits include,Black Studies USA, Pennies for the Boatman, and Ota Benga – Human at the Zoo. He has written numerous book chapters, contributed several articles to journals and magazines, and has written two books, The Music and Social Criticism of African Musician Fela Kuti, and Ola Rotimi’s African Theatre: The Development of an Indigenous Aesthetic. Coker holds a B.A in Dramatic Arts from the University of Ife, Nigeria, an MFA in Directing from Brooklyn College CUNY, and a Ph.D in African American Studies (Cultural Aesthetics) from Temple University in Philadelphia. Dr. Scott Lipscomb is the new Director of the SDSU School of Music and Dance. Lipscomb has been serving as Associate Dean for Academic Affairs and Director of Graduate Studies at the College-Conservatory of Music at the University of Cincinnati. Previously he was Associate Director of the School of Music, Director of Undergraduate Studies, and Professor of Music at the University of Minnesota. 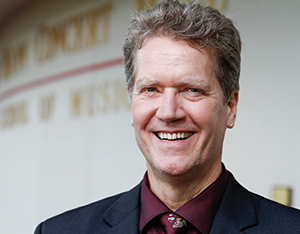 During his tenure at the University of Minnesota, he was also Interim Director of the School of Music and headed the school’s Division of Music Education and Music Therapy.